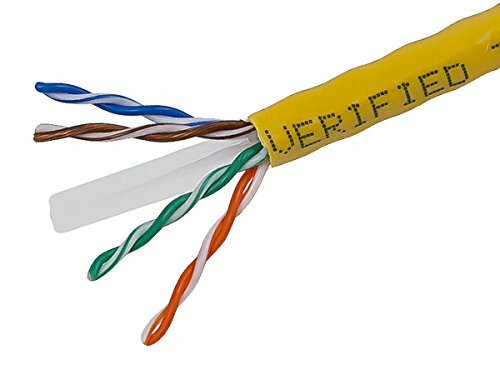 Monoprice Ethernet cables are made of 100% pure bare copper wire and are therefore fully compliant with UL Code 444 and National Electrical Code TIA-568-C.2 fire and safety standards, which require pure bare copper wire in communications cables. Featuring a center spine that eliminates crosstalk, this cable provides exceptional transmission performance and low signal losses. It supports up to 550 MHz and is suitable for Fast Ethernet, Gigabit Ethernet, and 10-Gigabit Ethernet.